Dave's Model Workshop: Tunisian diorama milestone: the water well is done! 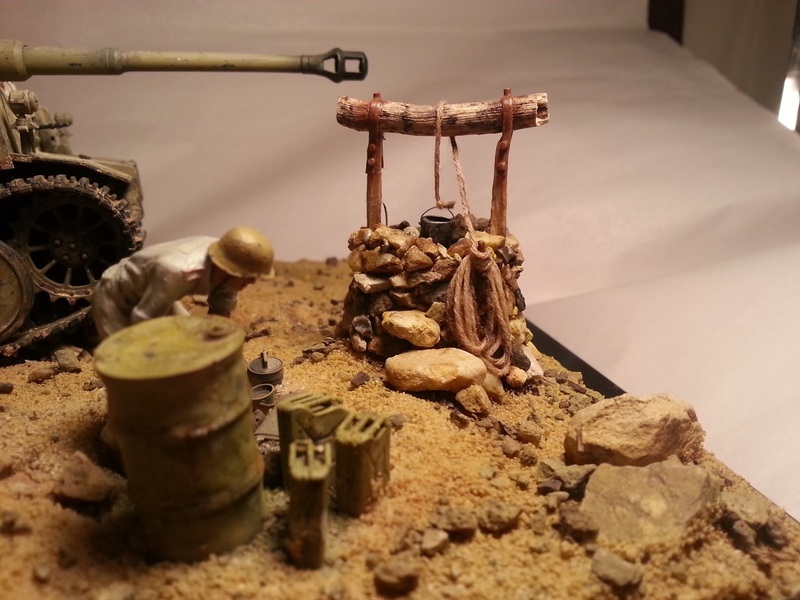 Tunisian diorama milestone: the water well is done! I'm about to upload a full 15 minute video on the scratchbuilding of the water well in my Tunisian diorama, but I wanted to post a little teaser photo here first. I'm pretty damn happy with it. Check back tomorrow for the video link. Yep, that's a well alright.